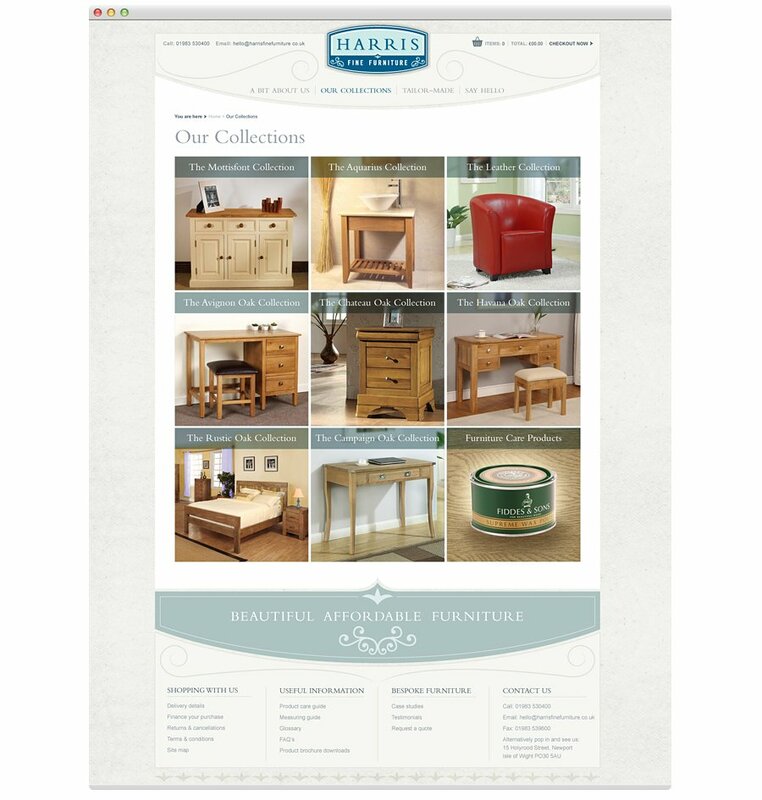 Harris Fine Furniture are an Isle of Wight based supplier of high quality furniture and custom built carpentry. Along with their re-branding we also produced their website. 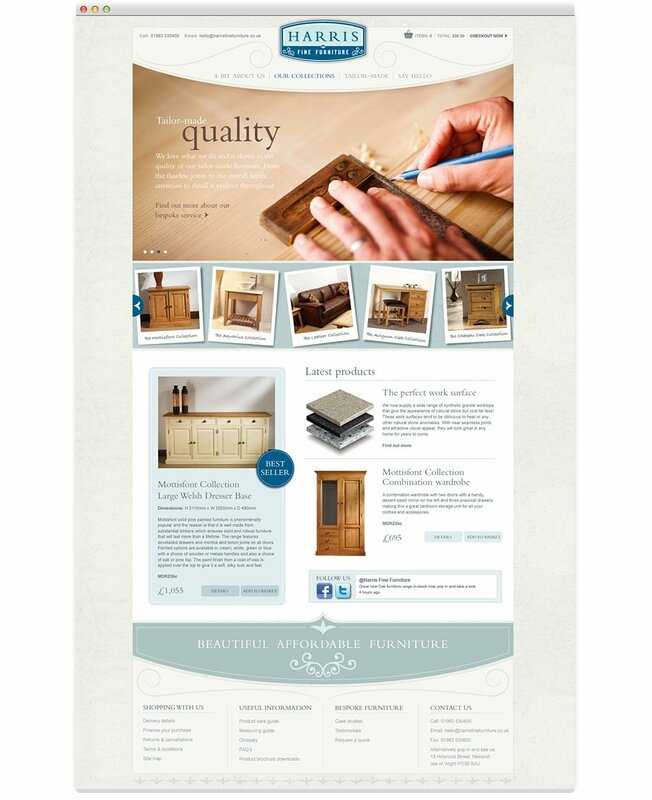 We wanted the theme of the site to have a very traditional hand crafted feel to echo the subject matter. Working with Julian Winslow Photography we created some beautifully rich detail photography to use throughout the site to demonstrate the attention to detail in all of the pieces that Harris sells and to give the site a very warm welcoming feel. The site is built with a Content Managed System and needed to incorporate an e-commerce online shop.